Zappka, a mobile platform that allows users to discover, review and share apps, has raised $100,000 (Rs 67.1 lakh) in angel funding from Planet GoGo founders Daman Soni and Rajat Gupta, besides a bunch affluent individuals it didn't name. 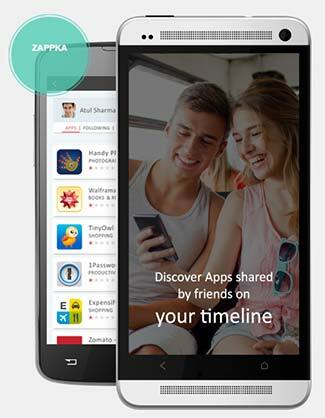 Gurgaon-based Zappka Tech Pvt Ltd, which runs Zappka, claims to be the world's first app-based social network. It creates a social engagement layer on top of existing app stores by connecting app users, reviewers and app developers. It allows users to share app reviews with friends and family and help them discover apps. It also provides latest app news and app content from top tech publications on the users' timeline. The startup was founded in April 2014 by former Paytm executive Gupta and ex-HP executive Sumit Arora. Gupta has 12 years of experience in mobile and web products and business while Arora has 11 years of experience in software development and research. Zappka's Android app has recorded 5,000 installs. The company plans to launch the iOS App by the end of April. The company says it is looking to raise $1M in funding by next quarter and is in talks with funds in India and the US. Daman Soni Planet GoGo Pvt. Ltd. Rajat Gupta Zappka Tech Pvt. Ltd.